This will be the first post of a few posts about the very recent (as in we got back on Sunday) Caribbean cruise vacation that David and I took. Sans kidlets. We left on Sunday and by Tuesday we wished we would have brought the boys along. Yup, we finally turned into those kind of parents. Every part of life is just so much more FUN with them around! So we learned our lesson that 2-3 days is enough time to refresh and reconnect with each other... any more than that and we are bored, lonely bumpkins (the details of which I shall spare you). Okay, on to our adventures! 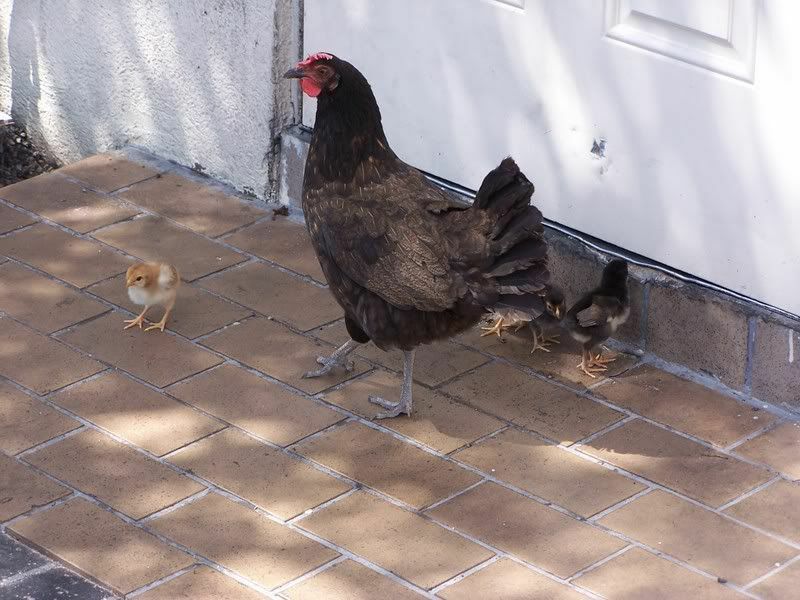 RUN, CHICKENS, RUN!!! You SO do not want to go through that side door right there! 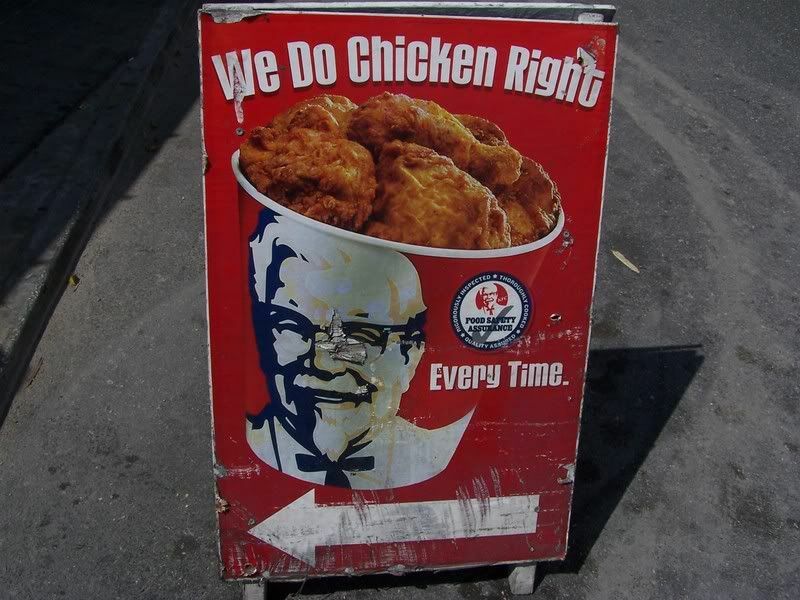 Although the idea of freshly fried chicken is quite appealing to me right about now... Man, KFC's really are everywhere!